How does one get better at painting clouds? Well, that was the question I had at the beginning of this week. I admire Sergej Temerev a lot so really it’s not that difficult. 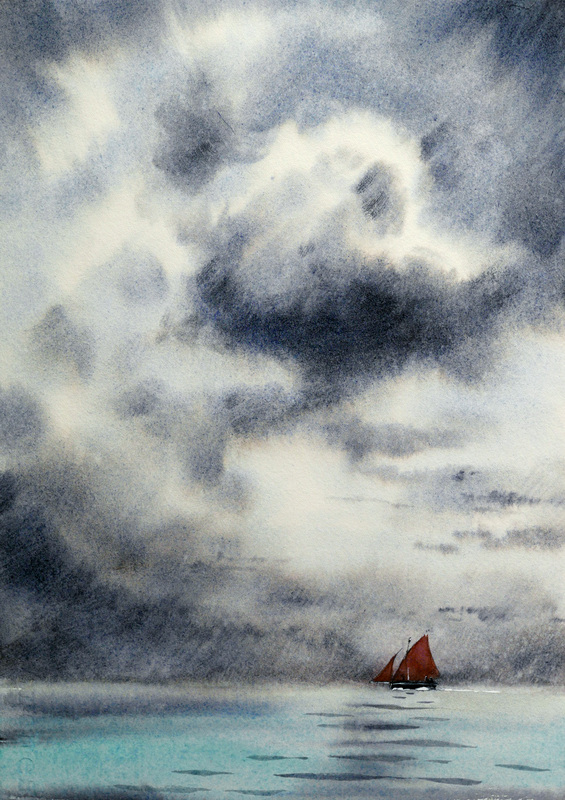 I just looked at as many watercolours of his as possible, there is a good Pinterest page featuring his work, here’s the link. I also looked at all the YouTube videos I could find. I’ve done this before but one has to repeat and practice a lot if one wants to get better. I love the design of these scandinavian pearls called Nordic Folkboats. A friend of mine owned one and I sailed it a number of times, it is a beautiful boat to sail, the only negative was that it felt cramped when camping out in the archipelago. I painted these two sketches in my Moleskin journal (29 x 21 cm). Special thanks to Erik Lähteenmäki for the inspiring reference photos of a Folkboat regatta in Finland. 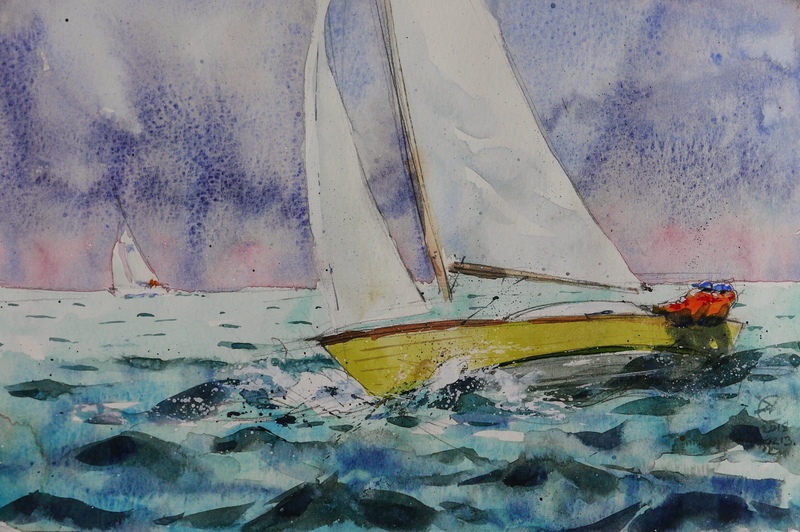 I plan to paint a few large format watercolours featuring these classic boats in the coming weeks.